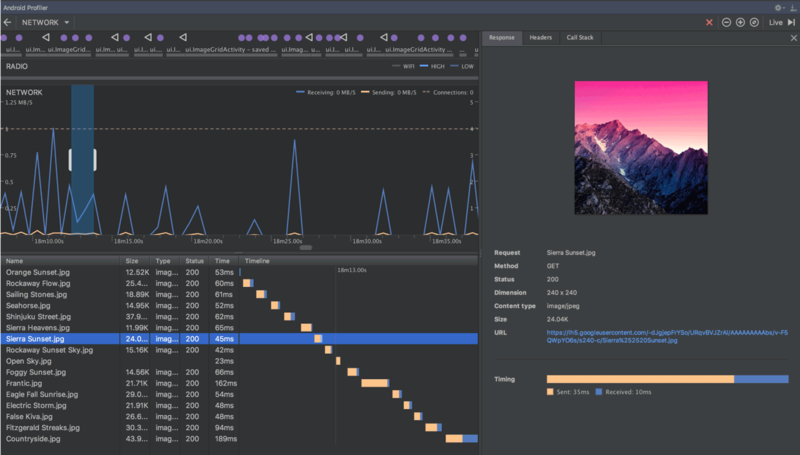 Android Studio 3.0.0 is a major release that includes a variety of new features and improvements. macOS users: If you are updating an older version of Android Studio, you may encounter an update error dialog that says "Some conflicts were found in the installation area". Simply ignore this error and click Cancel to resume the installation. Faster build configuration times due to new delayed dependency resolution. Variant-aware dependency resolution for only the projects and variants you are building. Faster incremental build times when applying simple changes to code or resources. Note: These improvements required significant changes that break some of the plugin's behaviors, DSL, and APIs. Upgrading to version 3.0.0 might require changes to your build files and Gradle plugins. 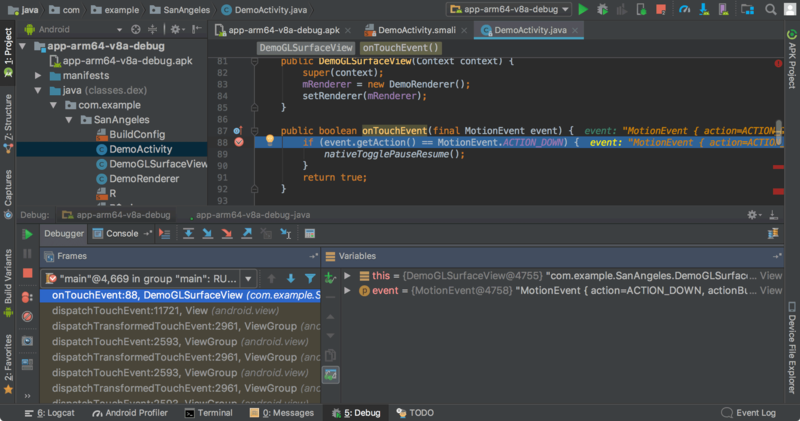 For more information about what's changed, see the Android Plugin for Gradle Release Notes. 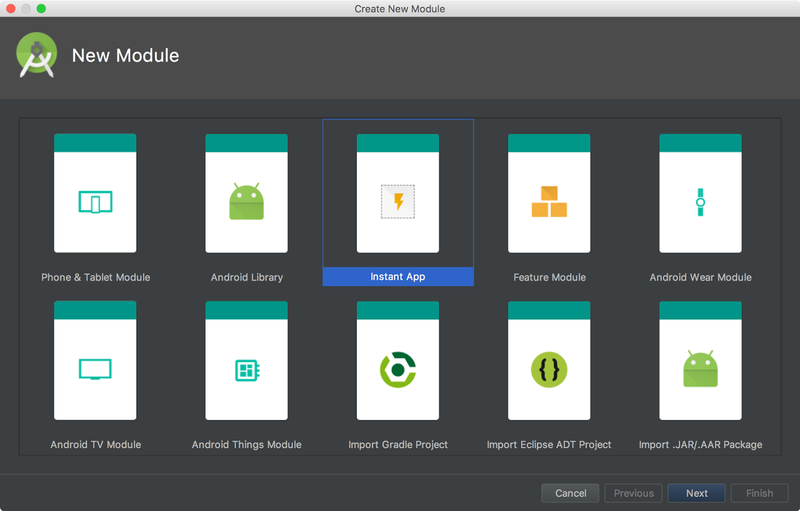 If you're ready to upgrade to the new plugin, see Migrate to Android Plugin for Gradle 3.0.0. As announced at Google I/O 2017, the Kotlin programming language is now officially supported on Android. 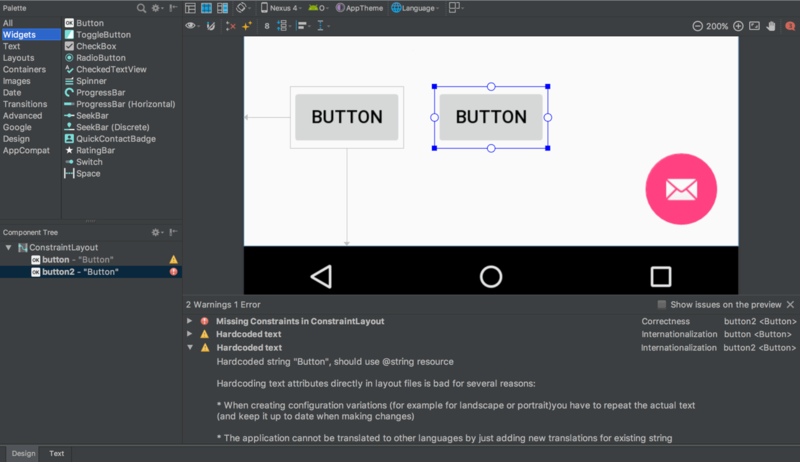 So with this release, Android Studio includes Kotlin language support for Android development. You can incorporate Kotlin into your project by converting a Java file to Kotlin (click Code > Convert Java File to Kotlin File) or by creating a new Kotlin- enabled project using the New Project wizard. To get started, read how to add Kotlin to your project. You can now use certain Java 8 language features and consume libraries built with Java 8. Jack is no longer required, and you should first disable Jack to use the improved Java 8 support built into the default toolchain. To update your project to support the new Java 8 language toolchain, update the Source Compatibility and Target Compatibility to 1.8 in the Project Structure dialog (click File > Project Structure). To learn more, read how to use Java 8 language features. 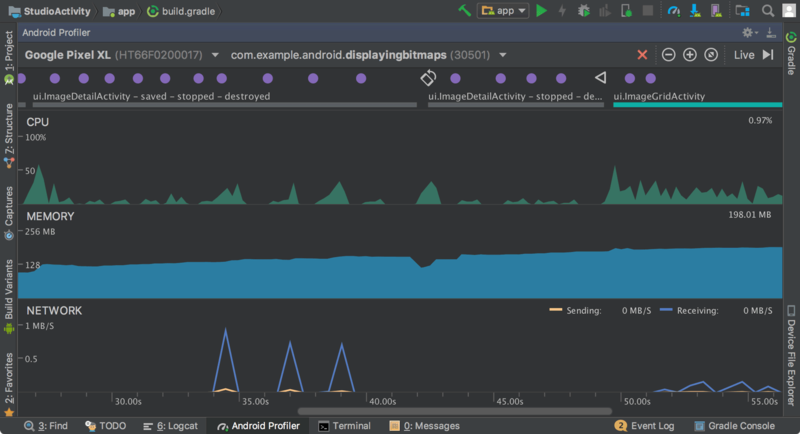 The new Android Profiler replaces the Android Monitor tool and provides a new suite of tools to measure your app's CPU, memory, and network usage in realtime. You can perform sample-based method tracing to time your code execution, capture heap dumps, view memory allocations, and inspect the details of network-transmitted files. To open, click View > Tool Windows > Android Profiler (or click Android Profiler in the toolbar). The event timeline at the top of the window shows touch events, key presses, and activity changes so you have more context to understand other performance events in the timeline. Note: The Logcat view also moved to a separate window (it was previously inside Android Monitor, which was removed). 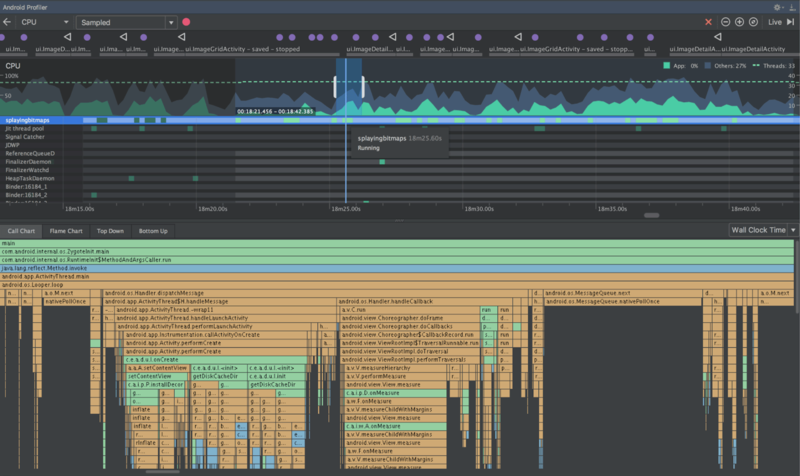 From the Android Profiler's overview timeline, click on the CPU, MEMORY, or NETWORK timelines to access the corresponding profiler tools. 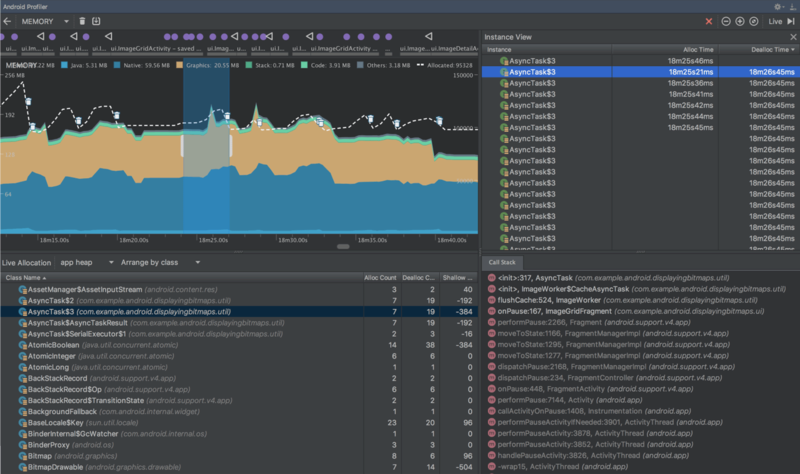 The CPU Profiler helps you analyze the CPU thread usage of your app by triggering a sample or instrumented CPU trace. Then, you can troubleshoot CPU performance issues using a variety of data views and filters. For more information, see the CPU Profiler guide. The Memory Profiler helps you identify memory leaks and memory churn that can lead to stutter, freezes, and even app crashes. It shows a realtime graph of your app's memory use, lets you capture a heap dump, force garbage collections, and track memory allocations. For more information, see the Memory Profiler guide. The Network Profiler allows you to monitor the network activity of your app, inspect the payload of each of your network requests, and link back to the code that generated the network request. For more information, see the Network Profiler guide. 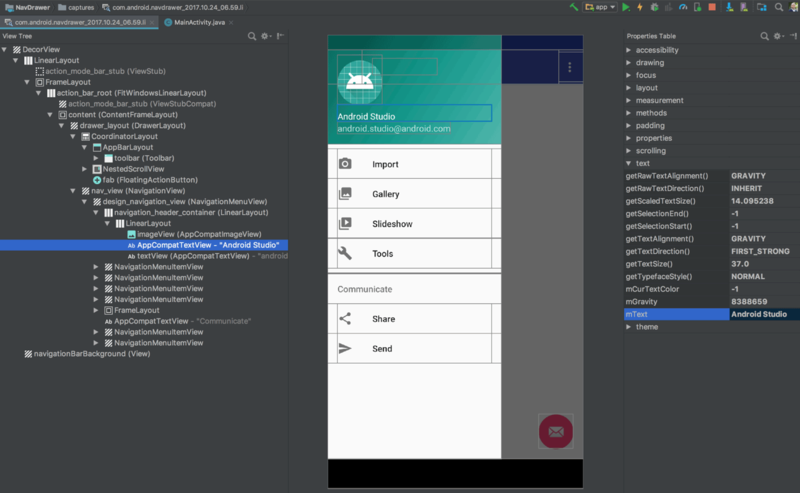 Android Studio now allows you to profile and debug any APK without having to build it from an Android Studio project—as long as the APK is built to enable debugging and you have access to the debug symbols and source files. To get started, click Profile or debug APK from the Android Studio Welcome screen. Or, if you already have a project open, click File > Profile or debug APK from the menu bar. This displays the unpacked APK files, but it does not decompile the code. So, to properly add breakpoints and view stack traces, you need to attach Java source files and native debug symbols. For more information, see Profile and Debug Pre-built APKs. The new Device File Explorer allows you to inspect your connected device's filesystem, and transfer files between the device and your computer. This replaces the filesystem tool available in DDMS. To open, click View > Tool Windows > Device File Explorer. For more information, see the Device File Explorer guide. New support for Android Instant Apps allows you to create Instant Apps in your project using two new module types: Instant App modules and Feature modules (these require that you install the Instant Apps Development SDK). Android Studio also includes a new modularize refactoring action to help you add support for Instant Apps in an existing project. For example, if you want to refactor your project to place some classes in an Instant App feature module, select the classes in the Project window and click Refactor > Modularize. In the dialog that appears, select the module where the classes should go and click OK.
And when you're ready to test your Instant App, you can build and run your Instant App module on a connected device by specifying the Instant App's URL within the run configuration launch options: Select Run > Edit Configurations, select your Instant App module, and then set the URL under Launch Options. For more information, see Android Instant Apps. New Android Things templates in the New Project and New Module wizards to help you start developing for Android-powered IOT devices. For more information, see how to create an Android Things project. Image Asset Studio now supports vector drawables and allows you to create adaptive launcher icons for Android 8.0 while simultaneously creating traditional icons ("Legacy" icons) for older devices. To start, right-click on the res folder in your project, and then click New > Image Asset. 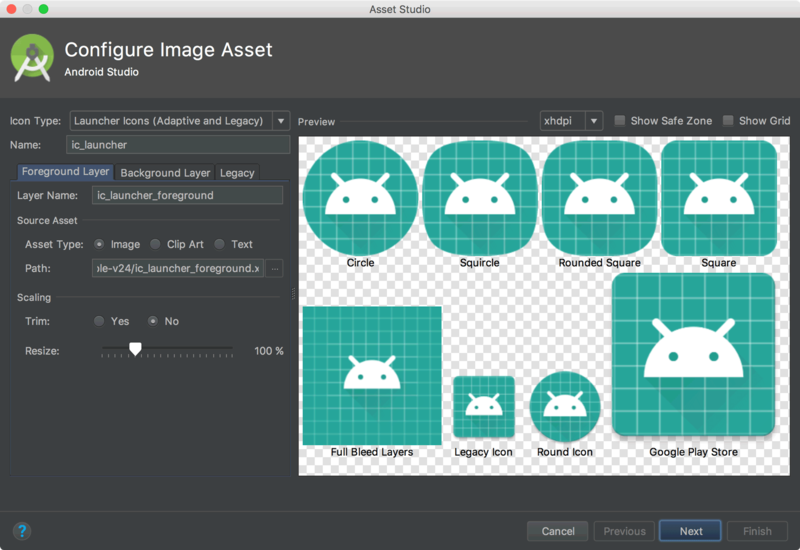 In the Asset Studio window, select Launcher Icons (Adaptive and Legacy) as the icon type. Note: You must set compileSdkVersion to 26 or higher to use adaptive launcher icons. For more information, read about Adaptive Icons. 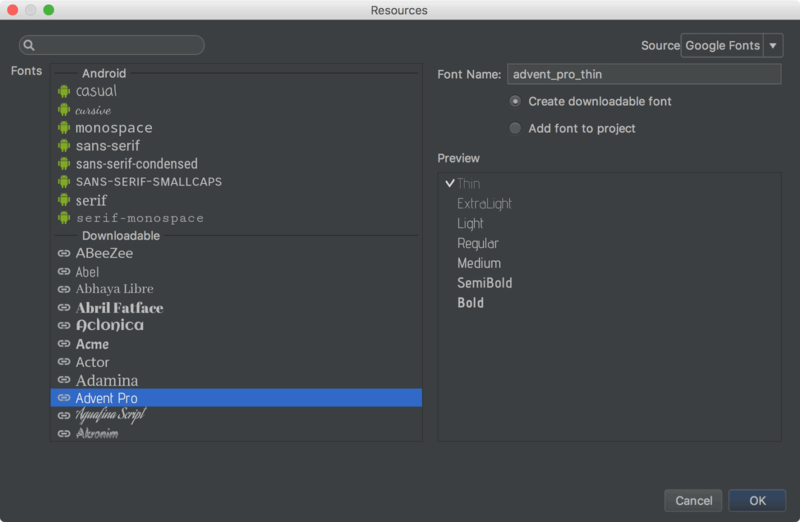 To support the new font resources in Android 8.0, Android Studio includes a font resources selector to help bundle fonts into your app or configure your project to download the fonts on the device (when available). The layout editor can also preview the fonts in your layout. To try downloadable fonts, ensure that your device or emulator is running Google Play Services v11.2.63 or higher. For more information, read about Downloadable Fonts. The Firebase Assistant has been updated with a new tutorial to test App Indexing. To open the Assistant, select Tools > Firebase. Then select App Indexing > Test App Indexing. In step 2, click Preview search results to verify that your URLs are showing up in Google Search results. In step 3, click Check for errors to verify that the indexable objects in your app have been added to the personal content index. Add URL tests for each URL mapping to be sure your intent filters handle real-world URLs. You can also define these URL tests by hand using the <tools:validation> tag described below. Create a Digital Asset Links file with the appropriate object entry to support Google Smart Lock, and add the corresponding asset_statements <meta-data> tag to your manifest file. 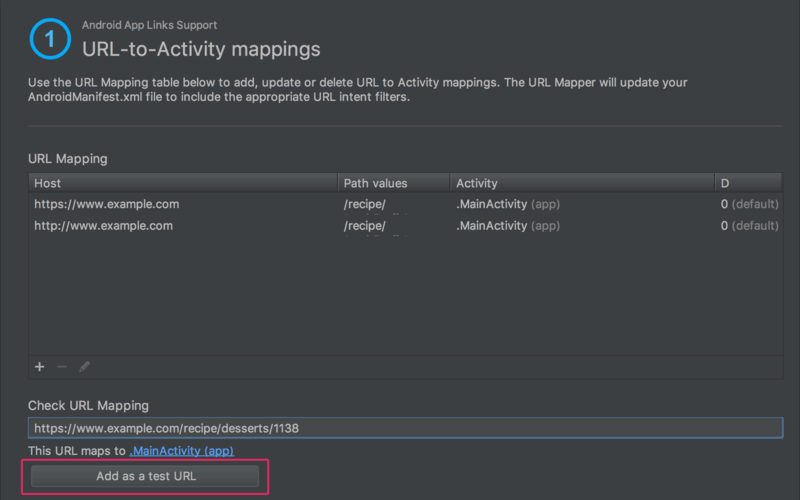 Android Studio now supports a special tag in the manifest file that allows you to test your intent filter URLs. These are the same tags that the App Links Assistant can create for you. Be sure to also include xmlns:tools="http://schemas.android.com/tools" in the <manifest> tag. If any one of the test URLs does not pass the intent filter definition, a lint error appears. Such an error still allows you to build debug variants, but it will break your release builds. New toolbar layout and icons. Updated layout in the component tree. New error panel below the editor, showing all issues with suggestions to fix (if available). New support to create barriers. New UI to create chains: Select multiple views, and then right-click and select Chain. The Layout Inspector includes enhancements to make it easier to debug issues with your app layouts, including grouping properties into common categories and new search functionality in both the View Tree and the Properties panes. You can now use the APK Analyzer from the command line with the apkanalyzer tool. Bolded nodes to indicate that the nodes should not be removed when shrinking code. A button to show nodes that were removed during the shrinking process. A button that restores the original names of nodes in the tree view that were obfuscated by ProGuard. The DEX Viewer now shows the estimated size impact of each package, class and method. New filtering options at the top to show and hide fields and methods. In the tree view, nodes that are references not defined in the DEX file appear in italics. For more information, see Analyze Your Build with APK Analyzer. Android Studio 3.0 includes an optional new DEX compiler called D8. It will eventually replace the DX compiler, but you can opt-in to use the new D8 compiler now. DEX compilation directly impacts your app's build time, .dex file size, and runtime performance. And when comparing the new D8 compiler with the current DX compiler, D8 compiles faster and outputs smaller .dex files, while having the same or better app runtime performance. For more information, see the blog post about the D8 compiler. Android Studio now uses Google’s Maven Repository by default instead of depending on the Android SDK Manager to get updates for Android Support Library, Google Play Services, Firebase, and other dependencies. This makes it easier to keep your libraries up to date, especially when using a continuous integration (CI) system. Learn more about Google's Maven repository here. Native debugging with Android Studio no longer supports 32-bit Windows. We've chosen to focus on other platforms because very few developers are using this platform. If you are using 32-bit Windows and you plan to debug native code, you should keep using Android Studio 2.3. Upgraded the base IDE to IntelliJ 2017.1.2, which adds a number of new features from 2016.3 and 2017.1, such as Java 8 language refactoring, parameter hints, semantic highlighting, draggable breakpoints, instant results in search, and much more. Added many new lint checks. Also see the latest Android Emulator updates. This is a minor update to Android Studio 3.0 that includes general bug fixes and performance improvements. In some cases, when a project created in Android Studio 3.0 was opened for the first time in Android Studio 3.1, the Gradle-aware Make task was removed from the Before launch area in Run/Debug Configurations. The result was that projects did not build when the Run or Debug button was clicked, which in turn caused failures such as deployment of incorrect APKs and crashes when using Instant Run. 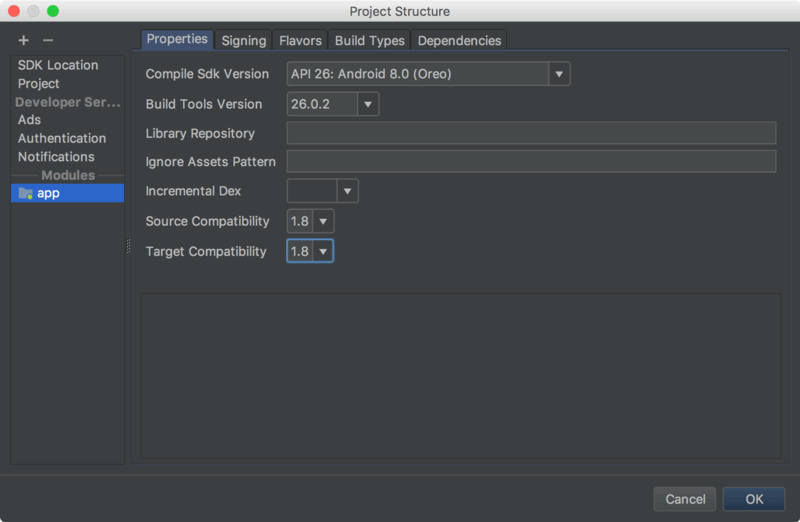 To solve this problem, Android Studio 3.1.1 adds the Gradle-aware Make task to the run configuration for projects that are missing this entry. This modification occurs after the first Gradle sync when the project is loaded. The debugger crashed when debugging a layout with a text box if advanced profiling was enabled. Android Studio froze after you clicked Build Variants. 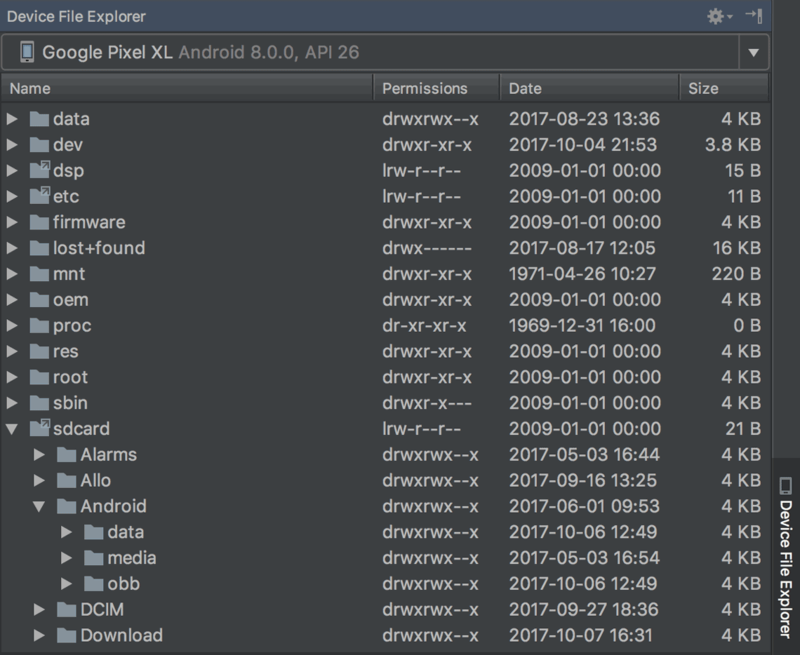 AAR (Android archive) files were extracted twice, once during the Gradle sync process and once during the Gradle build process. Elements were missing from some vector drawables imported from SVG files. The warning regarding the deprecation of the compile dependency configuration has been updated with better guidance regarding the implementation and api configurations. For details of migrating away from using the compile configuration, see the documentation for the new dependency configurations. In some cases, Android Studio hung indefinitely during exit. "The SourceSet name is not recognized by the Android Gradle Plugin." When Instant Run was enabled, builds of new Kotlin projects failed when triggered by the Run command. During editing of the build.gradle file, there was sometimes a noticeable delay between typing a character and the character appearing on the screen. "RejectedExecutionException: Thread limit exceeded replacing blocked worker"
The computation of the D8 main DEX list was not taking into account some reflective invocations. This update also includes changes that make running lint checks from Gradle much faster in some scenarios.